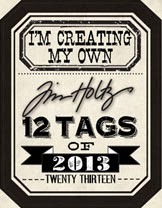 my take on Tim's tag for September 2013...just made it! 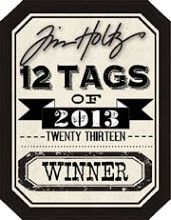 It is true that the crafty master Tim Holtz is a genius! I love these stencils and how they layer...very cool...and my love affair with distress paints continues, so cool! 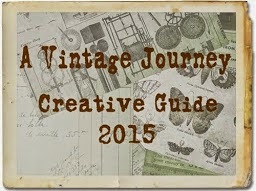 I stuck very true to the layout , just used my own colours..this is no.2. as no.1. wasn't happy with. I LOVE distress paint, as you may have noticed, it is just so cool to play with along side the distress inks! and the texture paste adds such cool dimension...yummy alongside all those inked layers. 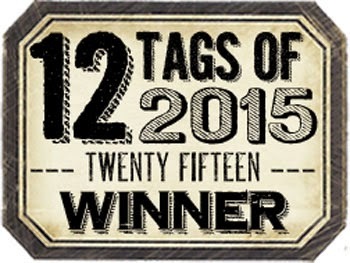 And now to name and shame my no.1 tag..which just kept making me think of a giraffe ?! Not sure if you will see that or not..? I think it is the pale bit, but can you see what I mean? 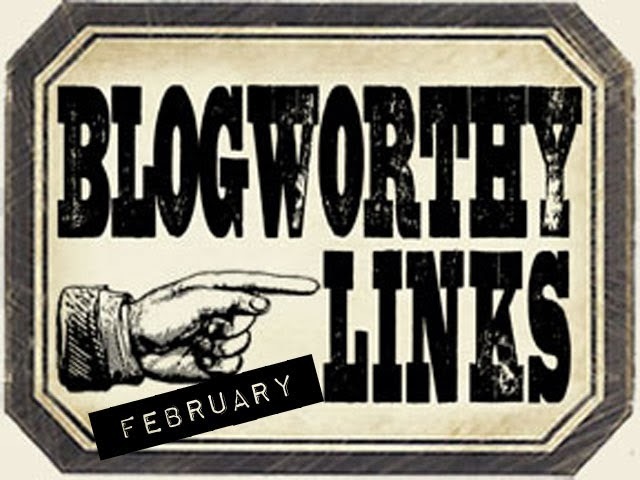 Anyway, thanks again or taking the time to pop by, follow my blog and leave comments... 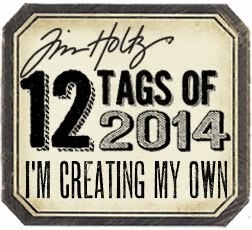 I am linking my tag up to Tim's tags here...( hopefully I will make this my second year of doing them all. 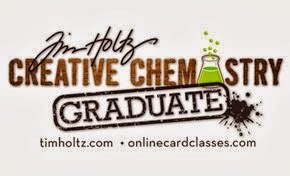 )..And the countdown continues for Creative Chemistry 102 ! Well It is my turn for a Saturday Step X Step and I thought I would show you a piece made with some Art Parts and some Clearly for Art , that hasn't been out to play for a while. Carved Coconut Shell Buttons - 1/2"
Well it is time for the Funkie team to show their samples for this food inspired challenge, over at Frilly and Funkie. So I went off on a gingerbread inspired make ...hope you like it . you can now enter 10 challenges including ours and may be in with the chance of being crowned winner or being selected for a $25 spend at the lovely Linda's Funkie Junkie Boutique . I got carried away making a gingerbread cottage for my Gingerbread man , from the artful dwellings die and one the edge die for the roof slats, shrink plastic sweets,candy canes and sweets wrapped in wire (all from blueprints sets. ) add the detail for my gingerbread house. I made the house from the artful dwellings die and tailor made a roof which had lots of layers of gingerbread.. I added snowy detail using glossy accents and glitter, then for the piping on the gingerbread panel I coloured some rock candy glitter (yes Anne still have lots left from last year!!) with snowcap alcohol ink...and added glossy accents to adhere it. I also used this to frost the tree and also the wreath on the front of the cottage . I mean there had to be some rusty wire!? For the snowy ground I added old dried baby wipes cut in strips and spread with glue and seal and then dusted with the same glitter mix . well hope you like my make , if anyone is interested I could put together a step by step for the cottage but didn't want to bore you! Hope you will find time to hop here and see my fab team mates makes and also to pop in a food entry yourself. sneak peak for my Friday focus..
layer on the steampunk !